This blog is intended as an interactive platform for sharing ideas, concerns and perspectives on medicine. Differing viewpoints are welcome and encouraged. If you’d like to comment about a post, please do! 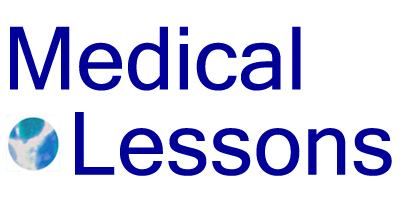 Please keep in mind before commenting or posting on Medical Lessons that this website is visible to everyone and any information posted here may be irretrievable. Do not comment or provide personal health details or other information that you or others wish to keep private. All comments on Medical lessons are moderated by the Author who is aided by automated, spam-blocking software. The Author reserves the right to edit comments for clarity, readability and length. The language of Medical Lessons is English. Obscenity, insults and any other language deemed offensive by the Author will be kept off the site. Do not use Medical Lessons to unduly promote a website, company or other interests; excessive and/or inappropriate links and “anchor text” will be removed. Moderation is ongoing, usually on a daily basis, but as long as two weeks might go by without moderation due to unexpected circumstances in the Author’s life. If for any reason the Author is not able to moderate comments for an extended period, she will make arrangements for a blog administrator to take over this responsibility. That person, an administrator other than the Author, would have at the minimum a college degree, be literate in English and be informed on principles of patient privacy, confidentiality and HON (Health-on-the-Net) codes that are applicable to health-oriented websites such as this. Any reader or other user who adds spam-type comments, trackbacks or pingbacks that are deemed inappropriate will be banned from using this site without specific notification. A reader or other user may be banned from using Medical Lessons if there is a pattern of repeated insults or comments deemed inappropriate without prior warning or other notification. If a reader or other user finds his or her comments are blocked and wishes to challenge that situation, he or she can contact the Author or other blog administrator at medical <dot> lessons <at> gmail <dot> com. Please indicate the background and sources of any information that you share on Medical Lessons using one or two links if appropriate. The user’s authority, whether that’s based in their personal experiences in giving or receiving health care, published articles or material available through other websites, should be provided in discussions of medical and health matters on this site.